We just came back from our short trip to Rome, we spent a lovely time there, sun, rain, sun, rain, sun, many wonderful moments with the kids, the highlight of it being their first time to the Stadium to support their team AS Roma. We ate delicious food, we visited some wonderful historical monuments, we walked a lot, we slept too little and had too many ice creams! It was a great experience to be back there after many years. Hello, my lovelies! Happy Friday! I'm currently in Rome for a Short Spring Break with my family, So far things aren't happening exactly as planned, my son caught some stomach bug and he's been sick all day. Hubby hit the pharmacy and got some medicine for our son's tummy, fingers crossed he'll be feeling better tomorrow! You see this trip was a present for our son, we actually came all the way here to see a football game tomorrow, we have tickets to the stadium to support my son's favourite team, so it will be really not cool if he couldn't attend! Please, keep your fingers crossed for him getting well soon!! Today I have a new manicure to share with you! 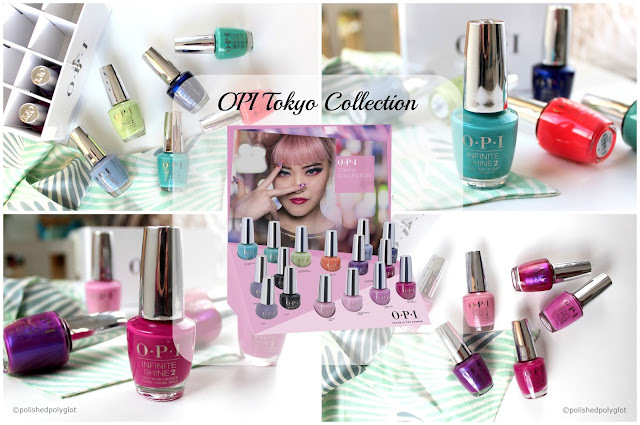 I've been playing with the new OPI Tokyo Collection for Spring Summer 2019 and I came up with a couple of new nail arts! Today I show you my manicure with Spring blossoms, I hope you like it! Spring break started today here in Biel and all we can think of is our much awaited trip to Rome! The countdown has started! Have you ever been to Rome? 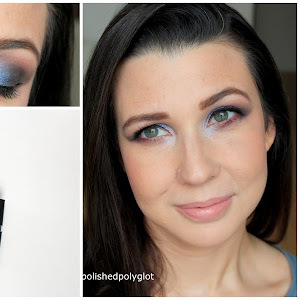 Today, it's time for a new Monday Shadow Challenge. This time I've created a softer look for spring, to change a little bit after all my bright crazy looks lately, LOL! 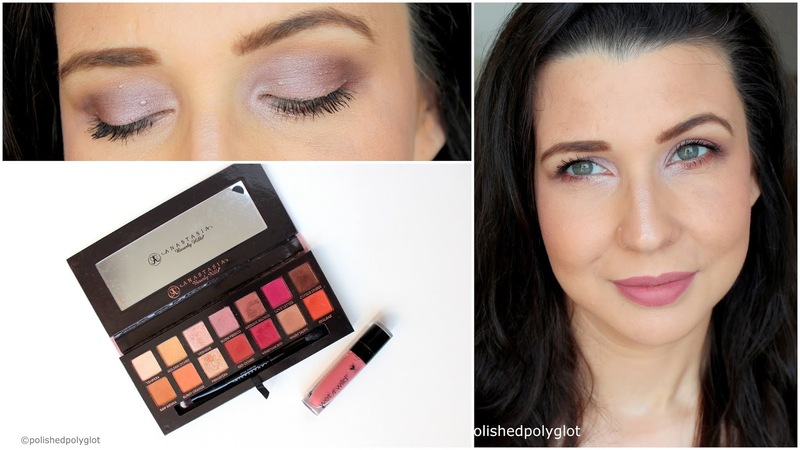 The colours for the challenge are "Dusty Rose" and "Warm Brown", I'd say this is one very wearable look, check it out! Here I am, with a new "Fashion" post to share with you! Today I'd like to chat with you about another piece that I consider a wardrobe staple: The Biker Leather Jacket. I think it is a basic piece that never goes out of style and gives many styling possibilities, without mentioning that it is very practical during mid-season weather. Keep reading to find out how I adapt the Biker leather Jacket to my feminine style with a romantic touch. I hope you are all doing fine. I had a very busy week so I couldn't prepare a new manicure for you this time. 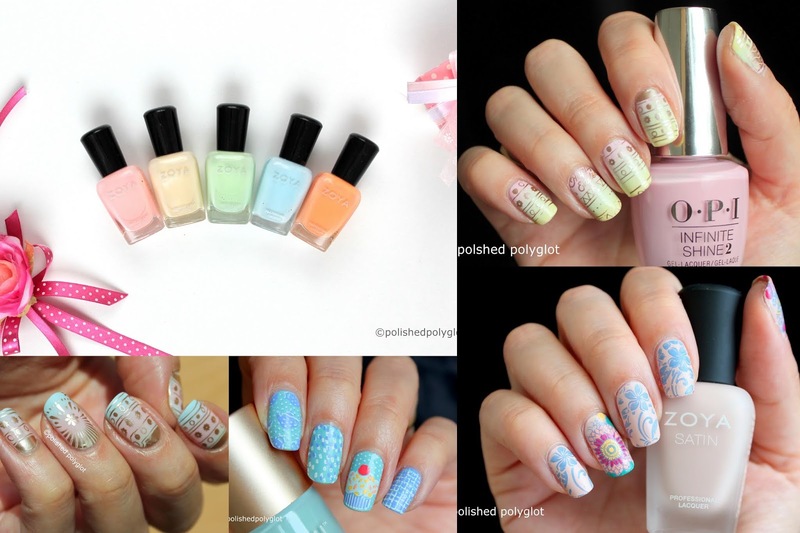 However, I thought to put together a post featuring 10 nail art ideas in Pastel colors! 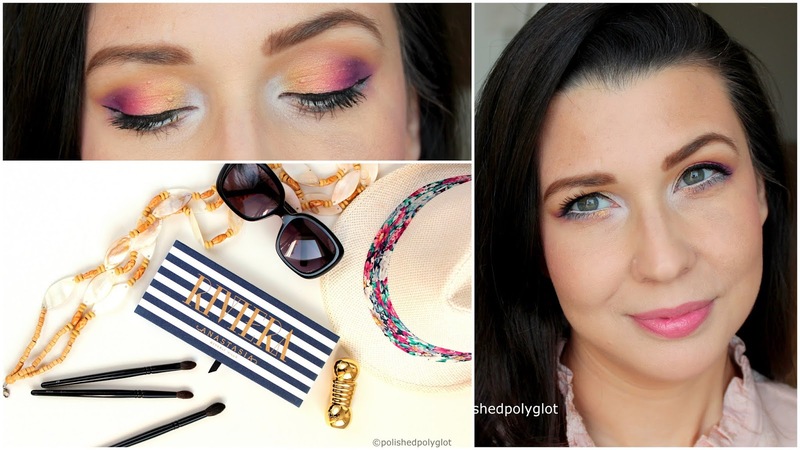 Normally, I don't care much about pastel colours, I'm more of a vibrant colours kind of girl, however, I do like some pastel looks, especially in Spring and especially for Easter! I think they are sweet and they would pair almost with anything. Keep reading to find out! 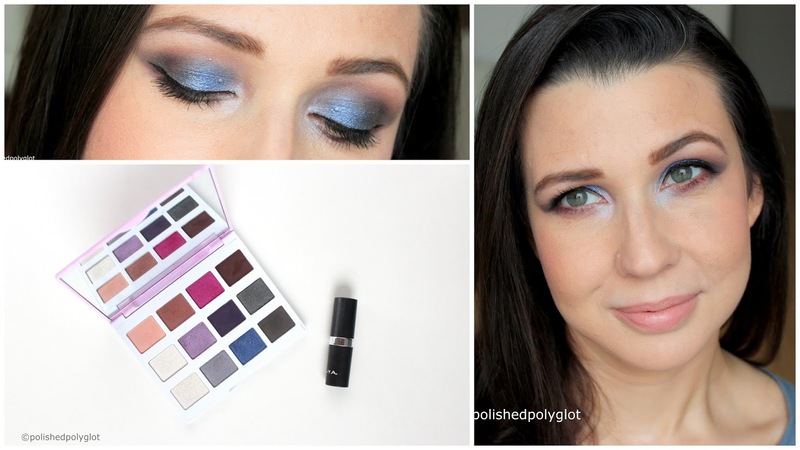 I was so impatient to write this post, as I have a new makeup palette and I'm super excited about it! A couple of weeks ago I have received my Anastasia Beverly Hills Riviera palette and couldn't wait to show it to you! It is a rare gem with very bold colour choice, definitely a very special palette but not for everyone! I've created a Sunset makeup look with it, and made it really bold, :) Keep reading to find out if this palette is a good choice for you! Hello, my lovelies! How are you today! The months are starting to pass really quickly, I can't believe is already time for an "Empties" post again! I have a huge amount of empty products this time, so I was hesitating about doing a video! Many of you opted for an Empties video on Instagram Stories to my question, so next month I'll be doig a video instead of a blogpost ;) I still have to fine tune the filming part (read: I need a camera other than my phone!! LOL) but those are just "details" aren't they? It was impossible to fit all my empty products, which keep cumulating in one post, so I divided them into categories, and this month I'm sharing with you the skincare products that I've used up! How was your weekend? Mine was fantastic! The city is blooming and you can smell Spring everywhere. It is the perfect time for changing the wardrobe into a lighter one and also the makeup looks into brighter colours. What a week that was! We are SO ready for the weekend! What about you? The sky promises to be clear blue for a few more days (rare thing around here) so the colour blue seems the most appropriate for my manicure today! The"When Colors Collide" nail art challenge is doing "blue" nails this week and the "NAil Art Stamping sisterhood" prompted us to used the "smoosh" technique. So I combined the two prompts and got a manicure in different shades of blue, I really hope you like it! Can you even believe March is coming to an end? Where did this month go? As every month, it is time for a new edition of my "shopping my stash" challenge! I started this monthly challenge back in 2017, but it seems it is still a relevant thing to do! If you are in a "low buy", "no buy" and/or "shop your stash" project, you are of course invited to share your own experience! 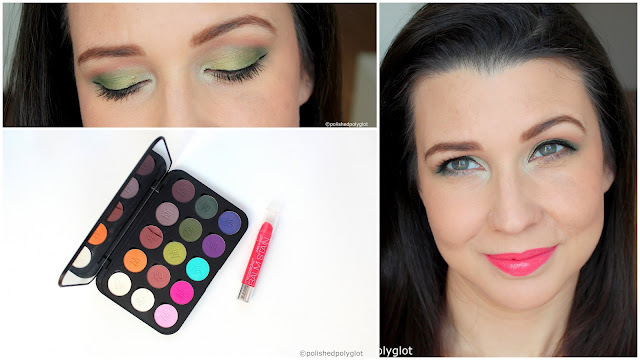 During the month of March I've been using an one of the most beautiful and useful palette by Chanel the lovely "Charming" quint, which is now discontinued, but the truth is I have completely forgotten about it until now, so it was a perfect candidate for my challenge.